Psychic cat Irene Peggledrip is being visited by a band of malevolent spirits who all claim to be murderers. Not only is their message disturbing, but they cause chaos with indoor snowstorms, flying books and the untimely demise of a delicious Victoria sponge. Irene calls in Hettie and Tilly of the No. 2 Feline Detective Agency to help, but they're not sure how far their skills reach into the spirit realm. Meanwhile, Lavender Stamp, the town's bad-tempered postmistress cat, has some good news to deliver to Tilly: she has won a competition to take afternoon tea with renowned mystery writer Agatha Crispy at her Devon home, Furaway House. Will Hettie and Tilly finally lay the ghosts to rest? Can Molly Bloom's new cafe survive the seance? And will the moving claw give up its secrets before the gravy congeals? Find out in this latest adventure of our favourite feline sleuths. Join us for cake, cuppa and book signing for a joint book launch with the delightful Nicola Upson and Mandy Morton. Partners in life and crime, these authors have exciting new novels hot off the press. 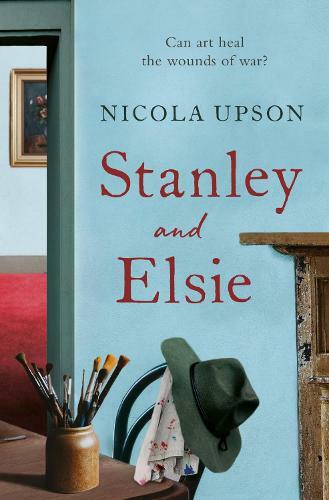 Nicola Upson's Stanley and Elsie is a historical novel considering the life and work of Stanley Spencer in the wake of the Great War. 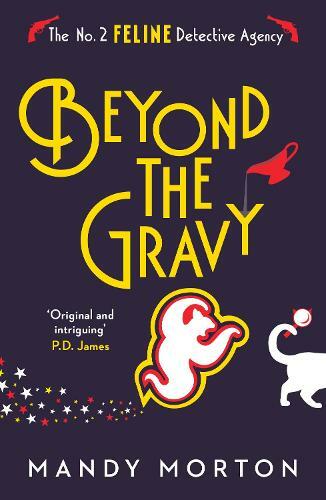 Mandy Morton's Beyond the Gravy is the next purr-fectly written novel in the No. 2 Feline Detective Agency series.